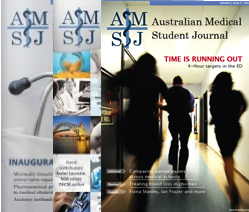 Jasmine recently completed her MBBS at the University of Queensland. She is a Junior House Officer at Nambour General Hospital. She is interested in paediatrics and public health. Aim: At least one in twenty Australian school children are obese. The causes and consequences of childhood obesity are well documented. This article examines the current literature on obesity management in school-aged, Australian children. Methods: A systematic review was undertaken to examine the efficacy of weight management strategies of obese Australian school-aged children. Search strategies were implemented in Medline and Pubmed databases. The inclusion criteria required original data of Australian origin, school-aged children (4 to 18 years), BMI defined populations and publication within the period of January 2005 to July 2011. Reviews, editorials and publications with inappropriate focus were excluded. Thirteen publications were analysed. Results: Nine of the thirteen papers reviewed focused on general practice (GP) mediated interventions, with the remainder utilising community, school or tertiary hospital management. Limitations identified by GP-led interventions included difficulties recognising obese children, discussing obesity with families, poor financial reward, time constraints, and a lack of proven management strategies. A school-based program was investigated, but was found to be ineffective in reducing obesity. Successful community- based strategies focused on parent-centred dietary modifications or exercise alterations in children. Conclusion: Obesity-specific management programs of children are scarce in Australia. As obesity remains a significant problem in Australia, this topic warrants further focus and investigation. The aim of this article was to examine the recent Australian literature on childhood obesity management strategies. The environment in which a child lives may impact their weight status; existing literature suggests that the built environment has little influence over dietary intake, physical activity and ultimately weight status. [15,16] However, there is limited research presently available. In total, 280 publications were identified in the Pubmed and Medline searches. The abstracts of these articles were manually assessed by the investigator for relevance to the research question and described inclusion and exclusion criteria. As a result of inappropriate topic focus, population, publication type, publication date and repetition, 265 articles were excluded. Ten articles were identified as pertinent via Pubmed. Medline searches revealed five articles of relevance, all of which were duplicated in the Pubmed search. Hence, ten publications were examined. Additionally, a search of relevant publications’ reference lists identified three further articles for analysis. Subsequently, this paper reviews thirteen articles. Publications included in this study were either randomised controlled trials or cross-sectional analyses. The papers collected data from a variety of sources, including children, parents, clinicians and simulated patients. Consequently, population sizes varied greatly throughout the literature. Much of the Australian literature on childhood weight management does not specifically focus on the obese; instead, it combines the outcomes of obese and overweight children, sometimes including normal weight children. Thirteen intervention articles were identified in the literature, nine of which employed GP mediated interventions, with the remainder using a community-based approach, school-based or tertiary hospital mediated obesity management. There was wide variability in the tools GPs used to screen children, which may ultimately have led to incorrect weight classifications. Spurrier et al. (2006) investigated this further, identifying that GPs may use visual cues to identify normal weight children; however, using visual cues alone GPs are not always able to recognise an obese from an overweight child or an overweight from a normal weight child. Hence, GPs may fail to identify obese children if appropriate anthropometric testing is not performed. Other factors impeding GP-managed programs are time and financial constraints. The treatment of childhood obesity in general practice is time consuming. [11,26,27] Similarly, McMeniman et al. highlighted that the majority of responders (75%) felt that there was not adequate financial incentive to identify and manage obese children. Literature describing community-based obesity reduction was sparse. Two publications were identified, both of which pertained to the HICKUP trial. These articles illustrated that parent-centred dietary program and child-focused exercise approaches can be efficacious in weight reduction in a population of children including the obese. [32,33] In this randomised controlled trial, children were divided into three groups: i) parent-focused dietary program, ii) child-centred exercise, and iii) combination of the aforementioned. [32,33] Dietary programs focused on improving parenting skills to provide behavioural change in children, whilst physical activity program involved improving children’s fundamental skills and competence. [32,33] A significant limitation of the study was that children were identified through responding to advertising in school newsletters and GP practices, lending this investigation to volunteer bias. Additionally, the outcome data in these studies failed to delineate obese children from overweight or normal weight children.